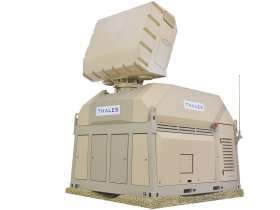 The Ground Master 60 (GM60) is an operating in C-Band, short-range, battlefield multi-mission primary surveillance radar. It is is designed to provide surveillance, early warning, target acquisition and target designation for SHORADS and VSHORADS. The Ground Master 60 offers very high detection capacity while on the move.